Many homes and businesses are made more secure by pursuing security systems installation in Toronto. Toronto, ON is a big city and unfortunately everyone cannot always be trusted. It is best to play it safe by having security systems installed. The security of a home and a business should always be top priority. Protecting the family and home, or protecting employees and an investment, both should be given unwavering focus at all times. At FC Locksmith we have the solutions to security problems. We provide excellent security cameras installation at affordable prices. 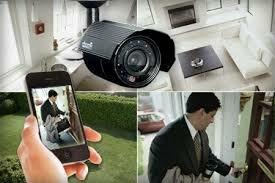 Cameras can be effective around the home or in the business. Our experts install these devices in areas that an intruder might attempt to enter the domain. The camera can be set to video the premises constantly or at different intervals. Everything is caught on tape and can be used as evidence in case of a break in. In many cases an intruder will think twice about entering the domain when they see security cameras mounted. At FC Locksmith we are experts at home security system installation service. We are committed to providing security services that ensure the safety of the home and the family that dwells inside. People cannot stay wake 24 hours a day to watch over their home. The security camera never sleeps and can be viewed as an extra pair of watchful eyes over the home. The surveillance camera surveys the residential or commercial location for would be intruders. The device can be set to point at one particular area, or to roam a specific diameter. We provide a surveillance system installation that enhances the security of any location. 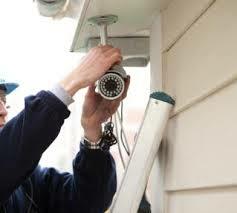 Our experts will come out to install a security system at our customer’s convenience. For the best Toronto security systems installation give FC Locksmith a call today!